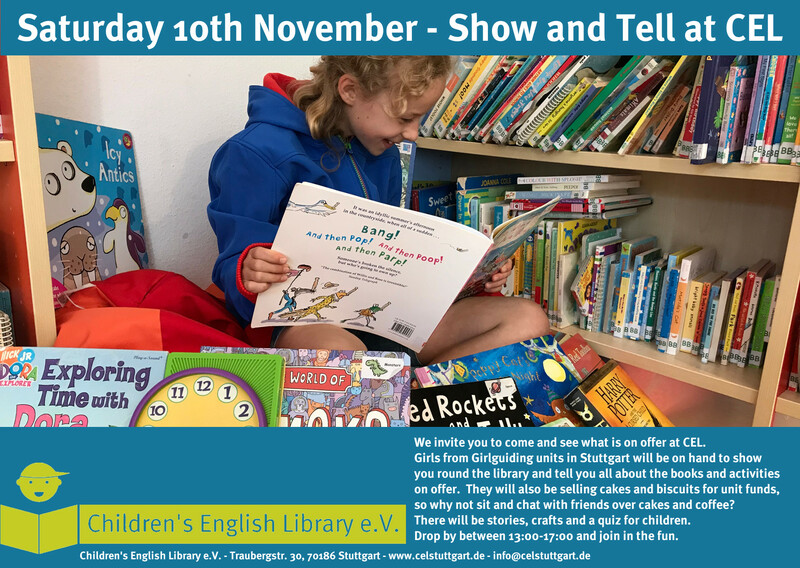 Put Saturday 10th November – 13:00-17:00 in your diary and pop along to CEL – and bring along all those English speaking friends who have never quite got round to coming! The girls from 1st Stuttgart Rainbows, Brownies and Guides will be offering tours of the library, readings, a quiz, a craft and of course coffee and cake … to encourage more people to come and see what CEL has to offer … and of course all our members are invited to join the fun. We’ll have fliers at CEL for you to give to friends.